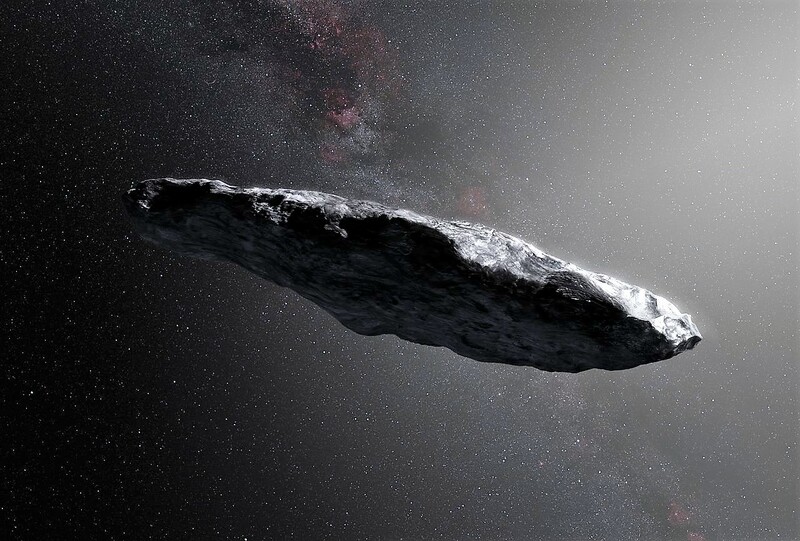 The cigar-shaped object known as ‘Oumuamua may be the first interstellar interloper to be discovered, but it’s not likely to be the last. Statistics suggest that there are lots more space rocks like it out there. That number is a 1 followed by 26 zeroes. Laughlin arrived at that estimate by extrapolating from the observational capabilities of the Pan-STARRS Telescope in Hawaii, the instrument that first detected the object back in October 2017. This entry was posted in GeekWire and tagged AAS, Astronomy, Oumuamua, Space. Bookmark the permalink.